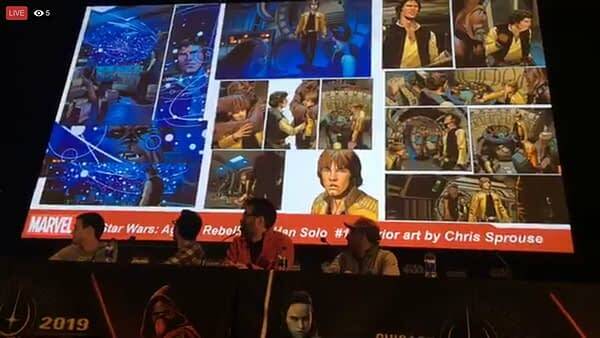 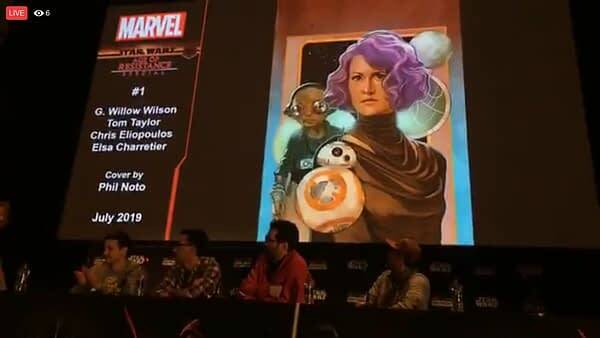 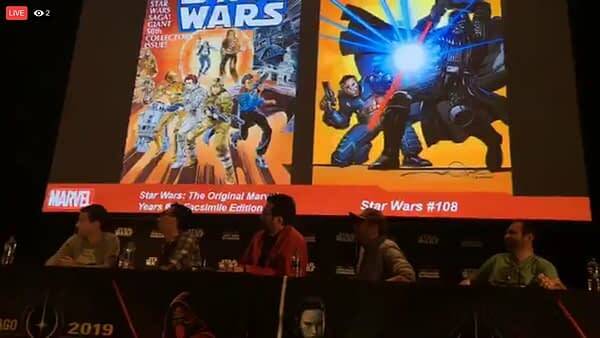 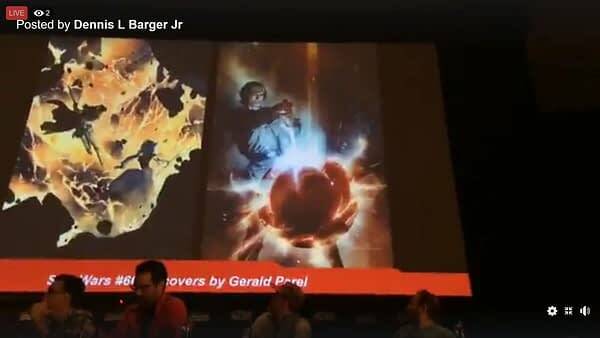 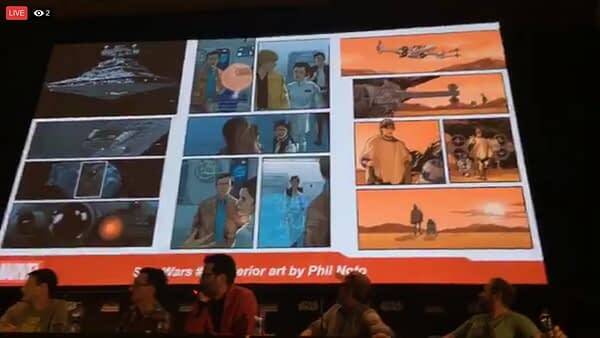 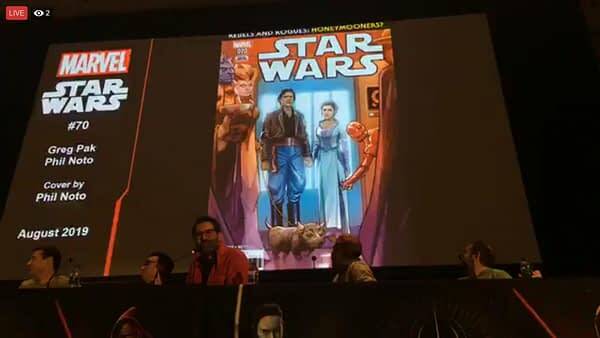 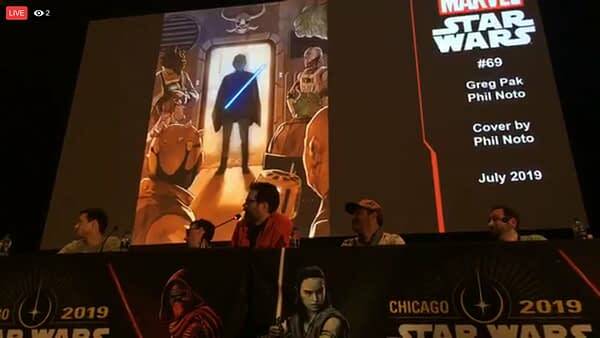 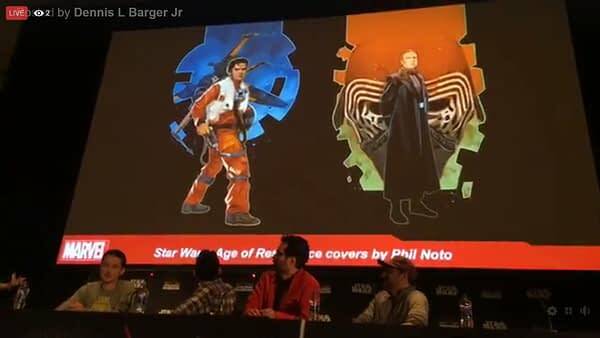 Star Wars Celebration has announced a bunch of new Star Wars comic books from Marvel Comics. 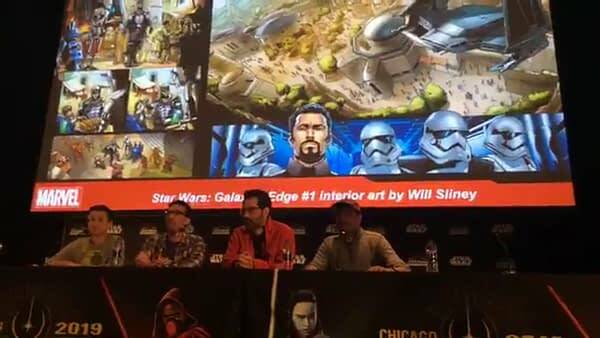 And thankfully retailer Dennis Barger was able to film the announcements for us. 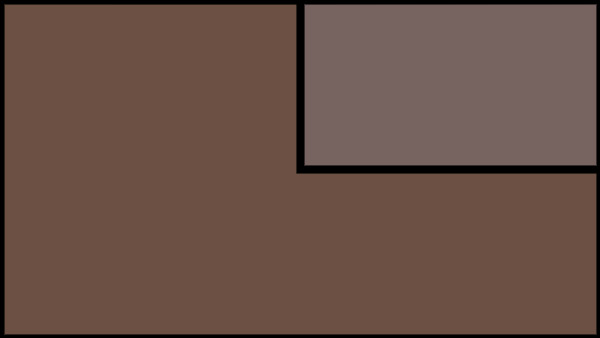 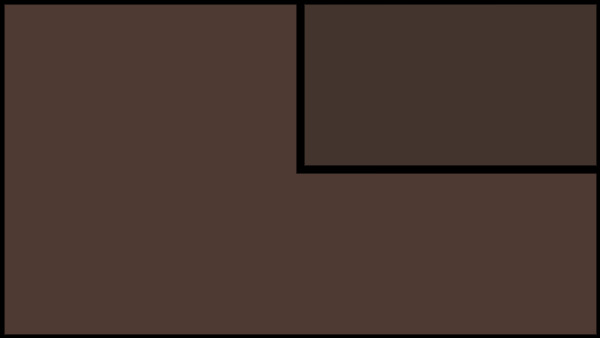 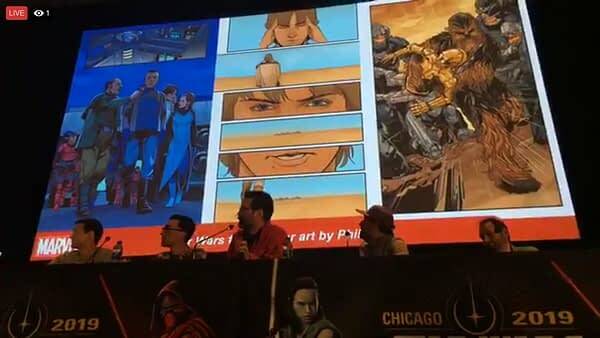 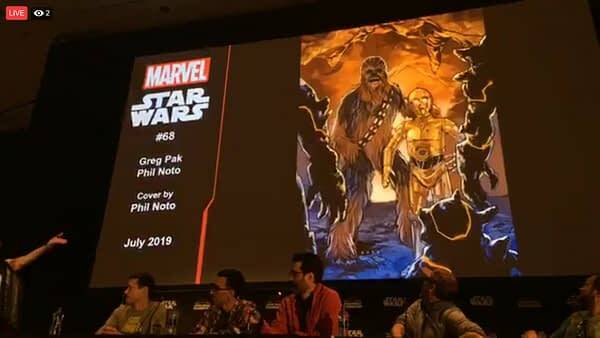 Such as the confirmation of Bleeding Cool’s story that Greg Pak and Phil Noto would be taking over the ongoing Star Wars series from #69. 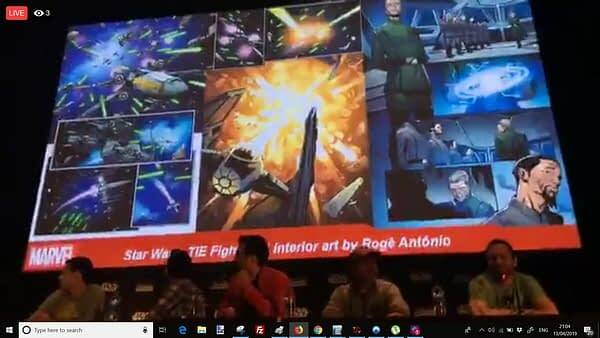 Looking at the other thousands of probes that were sent out to find the Rebellion, and how they were fought. 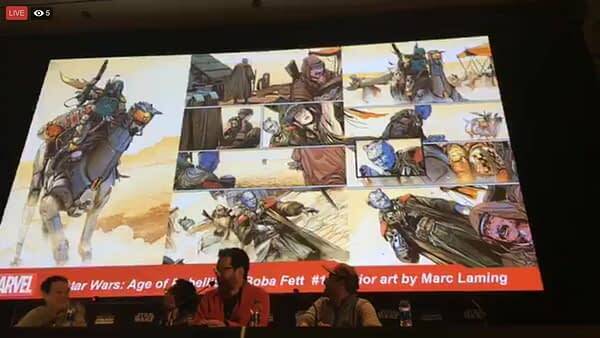 We also learnt that his Boba Fett one-shot would see him speak about three words in total. 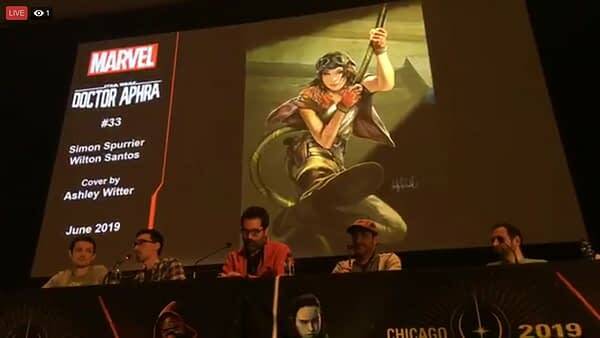 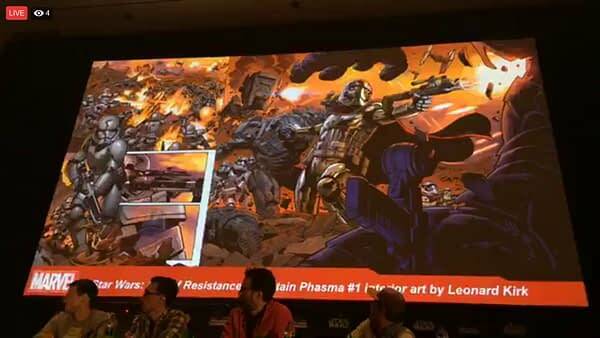 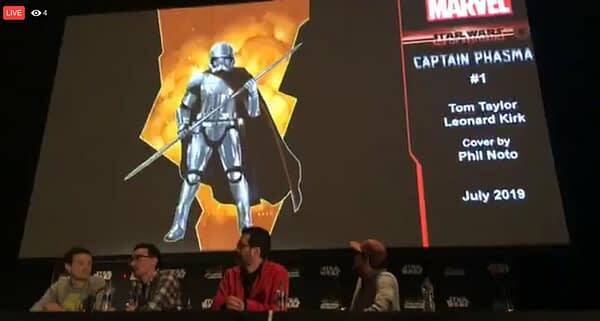 With art for previously announced Age Of Resistance one-shots Captain Phasma #1 by Tom Taylor and Leonard Kirk in July. 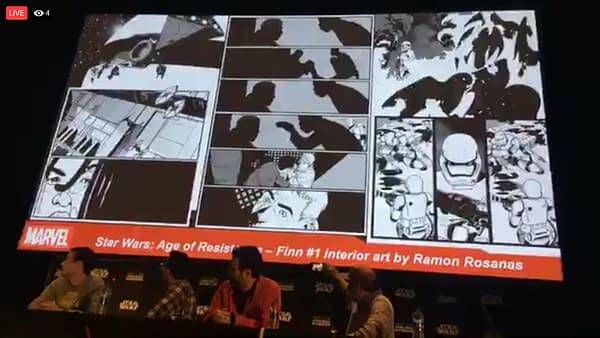 Finn #1 by Tom Taylor and Ramon Rosanas in July. 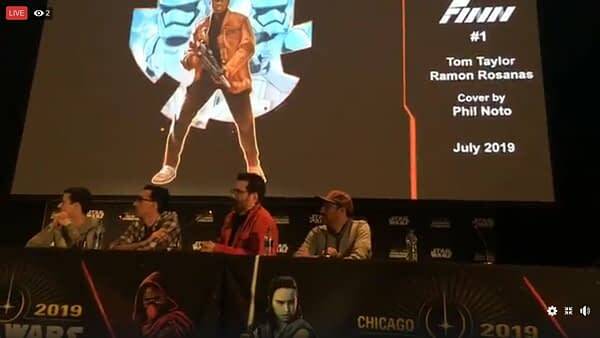 Seeing Finn when he was a Stormtrooper showing some moral doubt – and also working as Janitor Finn. 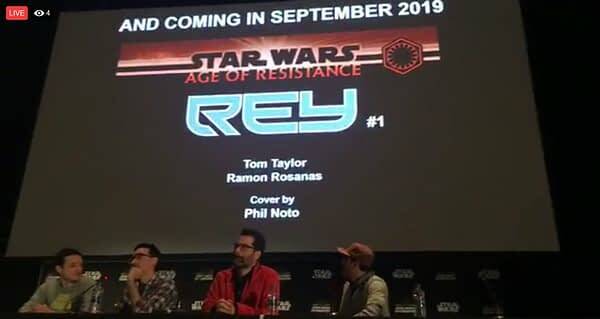 Rey #1 by Tom Taylor and Ramon Rosanas in September, a story set with Chewbacca as they were on their way to meet Luke Skywalker for the first and last time.